The orangey cable? I can't say exactly what it does, but it's clearly a data cable of some sort, and so an integral component. You might want to look through a complete tear-down on ifixit.com, which might identify it. You're unlikely to find that as a spare part, unless you buy another similar model (eBay 'For Spares') and strip out the part you need. Given the age of the Mac, you might be better off putting money into a newer model. A 2009 or higher MacBook would give you significantly better hardware, more compatible with newer software and hardware. 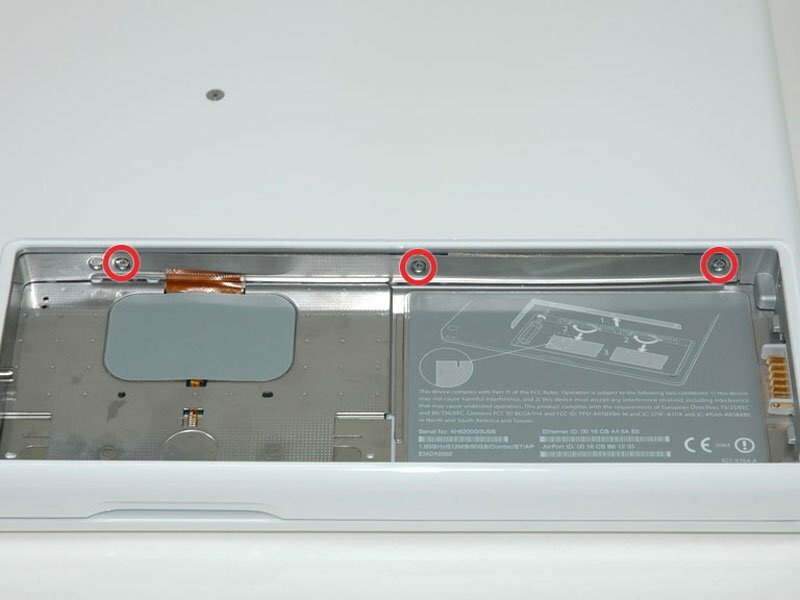 Faulty 2006 iMac - what is it useful for? Why doesn't my MacBook recognize the original HD any longer? What precise hard drive do I need to install in this iMac?